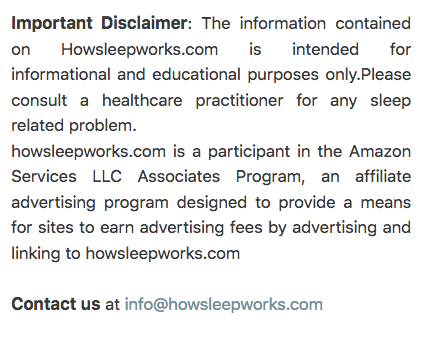 Are you seeking an all-natural sleep aid that can help you fall asleep quickly, stay asleep for longer and wake up feeling refreshed? Then why not try losing yourself in music? Listening to music in bed can help you to relax and unwind at the end of the hard day, helping you to get a better night’s sleep. If your partner prefers complete silence at night, then it’s a good idea to invest in a quality pair of headphones. This will ensure that you’re able to enjoy your playlist as you drift off to sleep, but without disturbing your partner. Headphones are also an effective way to block out noise that may be keeping you awake at night, such as loud neighbours, outside traffic or a snoring partner. Unfortunately, most headphones are not designed for use in bed. They tend to be very uncomfortable to wear, particularly if you’re a side sleeper. Additionally, there’s also the possibility of headphones breaking during the night. The good news is, there are headphones out there that are well suited to sleeping and noise cancelling, making them ideal to wear in bed as you’re drifting off to sleep. Read on to find out which headphones are the best for sleeping and noise cancelling. Hopefully you’ll find a pair which meets your requirements, as well as your budget, and that helps you to sleep more soundly at night. 1. Reduce Stress - We live in an environment with constant buzzing of cellphones and noise from television, traffic and whatnot. This noise is not just unpleasant but can lead to stress. It is a fact that people who are exposed to high levels of noise are more prone to suffer from diseases like heart attacks. Therefore, if you start using noise cancelling headphones, it would decrease your exposure to noise and in turn reduce the stress from your life. As a result, you will feel happier and more at ease with yourself. The most important thing is that your health will improve. 2. Richer Sound - The music you hear feels more vibrant when there is no noise in the background. It can help you enjoy your leisure time as you can put on some relaxing music and feel the higher level of pleasure that one gets with clear, crisp and vibrant sound. Also you won’t need to listen to the music at high volume to hear the variations and richness of sounds. Just turn on the music at normal volume and feel the vibrant sound in your ears. 3. Full Concentration While Studying - Noise cancellation headphones are not for just fun and rejuvenation. They can allow you or your children to concentrate while studying. The external noise of people talking, cars moving in traffic or other sounds distract us from fully concentrating on the task at hand. Therefore, it helps tremendously to cut out all the external noise through noise-cancelling headphones. This is especially helpful for kids as they find it harder to remain disciplined. 4. Sleep Better - Noise cancellation headphones can help you doze off at night. How? Listen to some mellow music and block out the external noise. It is obvious that listening to music reduces stress levels and improves happiness and mental balance. But picking any headphones that are marketed as “noise cancelling” won’t work. Go through this quick guide to know which ones can actually help you sleep better. 5. Relief from Noisy Neighbors and Snoring Spouse - Noise cancelling headphones not only help you sleep better, they also help you avoid noisy neighbors. You no longer have to tolerate their annoying noise at 2 am in the night. Just put the noise-cancelling headphones on, play a mellow track and zoom -- doze off to sleep. And if your spouse happen to be a snorer, noise cancelling headphones can allow you to sleep with them without getting annoyed or having your sleep disturbed. Imagine going to bed and not being able to sleep because someone else is snoring or making noises in a neighboring house. You would be furious, right? Well, noise-cancelling headphones can settle the matter for you without any collateral damage. 6. Get things done - No matter whether it is studying, mowing the lawn, or cleaning your home - you can get anything done with some music in your ears. And it is all the better when when there is no external noise of traffic or people talking. Just hit play and get in the zone. Fabric or noise cancelling headphones? In a world where technology is continuously evolving, it’s no surprise that there’s such a wide range of styles and designs of headphones available on the market. Generally, there are two types that work best in bed. These are padded fabric headphones, which are designed specifically for sleeping, and noise cancelling headphones. There are a few differences between these two types of headphones: their ability to block out external sound, sound quality and price. Fabric headphones aren’t great at blocking out loud sounds, such as snoring for example, but are comfortable to wear and are inexpensive too. Noise cancelling headphones not only block out most unwanted external noise, but they also have a superior sound quality. However, the downside is that they are usually a lot more expensive. The AcousticSheep SleepPhones Classic have been cleverly designed with comfort and sound quality in mind, making them one of the best sleep headphones on the market. Traditionally, headphones for sleeping have been very dependent on head shape and size, and this can cause issues not just with comfort, but sound quality too. The SleepPhones have eliminated these problems thanks to their fabric headband, providing a great fit for all wearers. These headphones use a standard 3.5mm audio jack, allowing you to connect to your chosen audio source, and don’t require any batteries. The wireless version of the SleepPhones requires a Bluetooth-enabled smartphone or tablet. One downside to these headphones is that the cable tends to tangle during the night. Overall, the AcousticSheep SleepPhones Classic Sleep Headphones are one of the best sleeping aids out there. As well as being very comfortable and providing excellent sound quality, they’re also made using eco-friendly manufacturing and materials. The Bose Quiet Comfort 20 headphones are ideal if you want to block out external noise, such as snoring, traffic or loud neighbours. Whatever sounds are keeping you awake at night, these headphones can be relied upon to block them. The noise cancelling feature works in three different ways. Firstly, the earbud effectively seals your ear, physically blocking some amount of sound. Secondly, the active noise cancelling technology removes low frequency sound waves. Thirdly, when you play music, a complete barrier is made to block whatever noise was previously keeping you awake. Bose Quiet Comfort 20 headphones come with a handy feature called ‘aware’, which allows you to still hear some amount of noise. This may be required if you need to be able to hear your children, or listen out for an alarm. If you don’t want to totally shut out the outside world, you’re likely to want to use this feature a lot. The tips of these headphones are rubbery and soft, and once you insert them into your ears, you’ll barely feel them. Plus, because there are three sizes to choose from, it’s easy to find the right size tips for your ear canals. The sound quality is excellent, but then you’d expect nothing less from Bose. This allows you to listen to the full range of sound, improving your listening experience as you drift off to sleep. Unfortunately, these headphones are expensive, as tends to be the case with high-end noise cancelling headphones. There are lower cost alternatives on the market which are simpler in terms of design and function. If cost is an issue, you may want to consider these. Overall, if you require superior noise cancelling headphones, these come highly recommended. They strike the perfect balance between blocking external sound, comfort and exceptional sound quality. 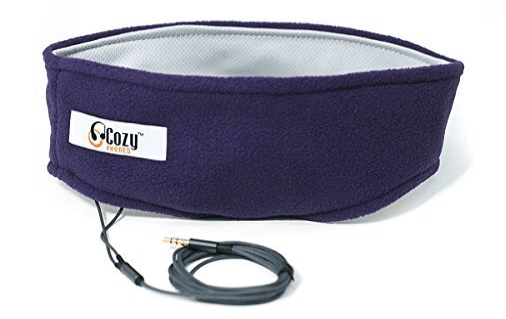 The CozyPhones are an excellent choice if you’re looking to buy a pair of fabric headphones. There are two reasons that they stand out from their competitors. Firstly, the speakers are flat and thin, which means they don’t put too much pressure on your ears, even if you’re a side sleeper. Secondly, they’re made from lycra, which is cool on the skin, ensuring that overheating isn’t an issue. These headphones offer good sound quality, which is somewhat surprising for the price. Sound is clear and crisp enough to enjoy listening to as you relax in bed. Whilst DJs and audiophiles will most likely look elsewhere, the sound produced is good enough for people who simply want to listen to music at low volume while trying to fall asleep. The sound isn’t amazing, but it’s definitely up to the task. The CozyPhones are wired and fit any mobile phone or standard audio device. The wire 1.5m long wire is robust and has a tangle-free design, making these headphones ideal for nightly use. One negative point is that you need to adjust the positioning of the speakers within the material. However, this issue isn’t unique to this model, and it does mean that you can position them evenly for your head size. Overall, the Cozyphones headphones are comfortable enough for sleeping, with excellent sound quality, and they’re constructed from a material which doesn’t overheat. If you want to try this style of headphones, these are one of the best on the market. The Tooks Sportek Band is designed with both sleep and sport in mind. It is available in either soft micro-fleece or a dryfit material, allowing you to choose the right fabric for you. Both materials feel comfortable on the skin, whether exercising or relaxing in bed. However, if your bedroom is hot at night, it’s a good idea to choose the dry fit material as overheating could be a problem. You’d be forgiven for thinking the low price of these headphones equates to poor sound quality, but this isn’t the case. The sound produced by the Sportec band is pretty good, and they block out most noises well, particularly traffic and light snoring. Plus, if you’re listening to ambient music through these headphones, you can expect to hear the full spectrum of sounds on a track, enhancing your listening experience. The wire features inline control, which allows you to change the volume in the night if required. It also lets you change tracks, and there’s a microphone which can be used for voice commands if it’s connected to your mobile phone. The downside to the Tooks Sportec Band is the speakers. 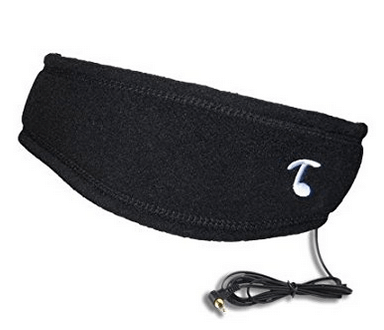 They’re positioned outside the headband, and this means that you need to insert them yourself to get them into the correct position. They’re also big, and so if they do shift out of position during the night, they can feel somewhat uncomfortable. Overall, these headphones are comfortable enough for sleeping, and provide good sound quality, as well as a choice of fabrics to suit your needs. However, you do need to be prepared to adjust them to achieve the correct positioning of the speakers. The Hennison Wireless Bluetooth Velvet Eye Patch is the perfect sleep aid for travellers. A high-tech sleep mask, it has built-in speakers and a microphone, allowing you to listen to music as well as answer phone calls without needing to take it off. The mask is made from soft velvet material and the inside is fitted with memory foam, which conforms to the shape of your head. It does feel a bit bulky due to the amount of padding, however it is comfortable. It’s ideal for use on long flights as it covers the entire eye area whilst protecting you from annoying noises such as loud passengers and crying babies. In terms of sound quality, the Hennison Wireless Bluetooth Velvet Eye Patch sounds pretty good. As you’d expect, it’s not akin to the sound quality produced by high-end headphones, but it does a good job, particularly when it comes to delivering onboard entertainment during travel. Overall, this innovative sleep mask delivers sound quality similar to some better budget headphones that are currently available on the market. 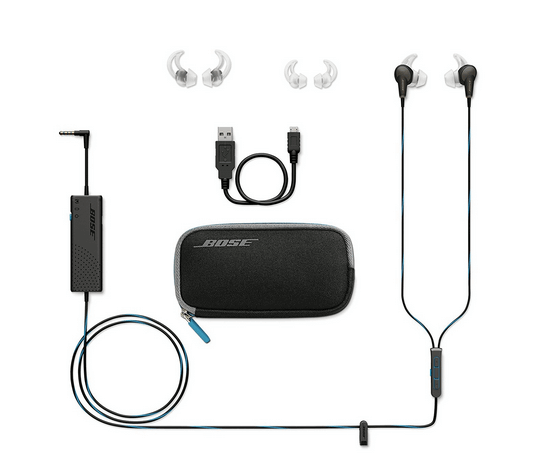 If you can spend a couple hundred bucks, the Bose Quietcomfort 35 is a great option with technology that offers three levels of noise cancellation. It is very comfortable to wear although it doesn’t offer as many features as its counterpart - Sony WH-1000XM2. Bose QuietComfort 35 Series II is just like its predecessor in terms of looks and sound quality. However, there is one visible difference - the company has made an ‘Action Button’ on the left ear cup so that you can connect to your Google Assistant without needing to take your phone out. In fact, this feature makes the QC35 II the first headphone to have direct support for Google Assistant. So you can use Google Assistant to make calls, hear the latest news or find the best restaurants nearby -- all without ever taking your phone out. But when your goal is to block the outside noise, this button doesn’t do much for you, does it? Yes, it does! You can program the Action button to be used to toggle between noise cancellation levels - low, medium and high. Just press the button and toggle between noise cancellation levels. But there is more. You can adjust the noise cancellation settings in the app. This is especially helpful if you are very sensitive to the light pressure that is a by-product of active noise cancellation. QuietComfort 35 has a fantastic battery life of up to 20 hours when you use it in the wireless mode with noise cancelling on. Even when the battery runs out, the headphone can be used in passive mode, but the sound is not as good as it is when you turn on active noise cancellation. The Bose QC35 II can play any kind of music into a pleasant experience with balanced sounds and a powerful bass profile. However, if you are an audiophile, you may want to check out Sony WH-1000XM2 which has more clarity and openness to its sound. However, sound quality also depends on the recording quality of the music you play. So keep all factors in mind while making a choice. Overall, it is a well rounded device with balanced sound levels and a handy button to toggle between noise cancellation levels. Noise-cancelling headphones while meant to provide the best audio experience, are also supposed to create silence. A weird combination, right? There are two types of noise cancellation. Active noise control and passive noise control. Passive noise control is very much like covering your ears with your hands to block outside noise. The earbuds or headphones are shaped in such a way to physically cover as much area of your ears as possible. They are often called ‘noise-isolating’ headphones in the market. Such earphones have block up to 20 dB of noise with their meticulously shaped ear buds or use of absorbent materials like high density foam. On the other hand, active noise cancellation uses ‘destructive interference’ at the point of ambient noise to produce noise cancellation. What does this mean? Instead of using physical noise isolation, a microphone is placed at the point where the sound enters the ear to pick up on external noise. The microphone then creates a sound frequency that is exactly 180 degrees out of phase with the unwanted noise. So the input disturbance is cancelled out by an ‘anti-disturbance’ output. Although ANC is believed to be most efficient at lower frequencies, it can reduce noise up to 80 dB, which is almost the level of annoying racket you hear from commercial jet engines. With such a powerful noise cancellation technology, you can listen to your favorite music in peace and go to your happy place without getting disturbed by even a jet engine. I work in a noisy office, and would love some noise cancelling headphones. What's the difference between noise cancelling and noise isolation? How do I choose the best ones for me? 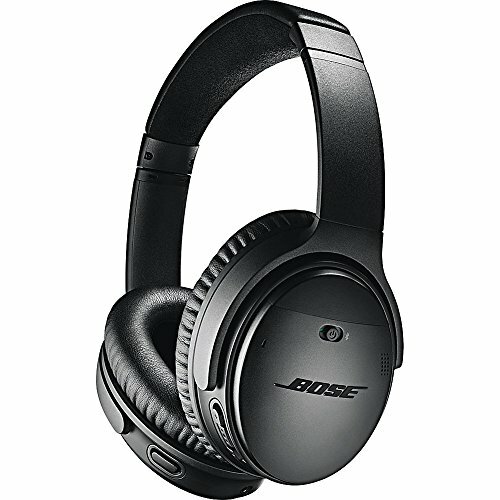 Should I just buy a pair of Bose QuietComforts, or are there specific ones you'd recommend? When it comes to technology, the options are endless. Therefore, you need to know the right things to look for in any technological product -- such as noise cancelling headphones. Noise isolation is simple. It means removing the extra sound that gets in your ear to the highest extent. But noise cancellation is a technology in itself. Let us look at the differences between these two terms in detail. Then you can look at the different headphones in our list and choose the one that suits you the best. Noise isolating headphones block out external noise through physical means. It is not a technology like it is in noise cancellation. Noise isolation is also sometimes called “passive noise cancellation”. Noise cancelling headphones generally have a microphone built-in that catches the external noise and creates a sound wave to actively block the noise. Noise isolation headphones just have a seal or padding around your ears to block the noise out. Price often reflects quality. The more you pay, the more value you get. Sometimes the technology is better and other times, additional perks like detachable cable and lifetime warranty come on offer. If you are going to use the headphones just for music, and not for watching movies and such, noise isolation headphones can work well for you. You can play the music at low volume and still enjoy the music. Quality can be subjective. Some people love Bose while others like basic Shures. What type of headphones should I buy? Some types are much more suitable for sleeping than others. For example, over-the-ear-headphones have earcups big enough to fit the whole ear, providing excellent sound quality, but they’re not comfortable to wear in bed. On-ear headphones are slightly smaller and sit on the ears rather than on the head itself. However, they can still result in discomfort if worn in bed. In-ear headphones (earbuds) are a good choice for sleeping headphones as they’re small and lightweight. Bedphones – which are marketed as the thinnest headphones on earth - come highly recommended. Special sleeping headphones which are designed especially for sleeping, including the popular SleepPhones, perform best. However, you should be prepared to pay more for these custom-designed solutions. How much should I spend on headphones for sleeping? If you’re buying headphones to help you fall asleep, it makes sense to buy the best pair you can afford. It’s essentially an investment into your health, and one that your body and mind will thank you for making. Low cost models will be more likely to break, sound bad and feel uncomfortable. This is really a personal choice, but there are some considerations to make. If you hate cables, you may prefer to go wireless. However, with wireless headphones, battery life can be affected. Whilst modern Bluetooth devices are constantly improving, you may want to find out how many hours of playback a pair of headphones will give you in wireless mode. There are some safety risks to sleeping with a cable around your head, particularly if you’re a restless sleeper. The world of sleeping and noise cancelling headphones can be confusing, especially with so many products to choose from. There are several considerations to keep in mind when choosing headphones to wear in bed, including sound quality, comfort, battery life and noise cancellation, to name a few. Hopefully this article has given you some insight into the various options available to you and will help you to select the right headphones to meet your needs and budget. With the right sleep or noise cancelling headphones, you can block out those external noises that are keeping you awake or relax your mind by listening to your favourite music, an audiobook, gentle soundscapes as you drift off to sleep.